This dental assistant guide provides information on every skill or responsibility your dental staff could need. In addition to the core clinical skills your staff will need day-to-day, this book covers the “behind-the-scenes” work of dental assistants. This guide is a complete reference for staff training including legal issues, common medical emergencies, patient pain, and radiography. • Written by Debbie S. Robinson, CDA, and Doni L. Bird, CDA. This guide covers everything from chairside treatment foundations to patient care and clinical procedures. It even provides vital information on specialized periodontics, endodontics, and pediatric dentistry. By utilizing vivid imagery, this book clearly explains how to accomplish tasks. Set your dental assistants up for success with this comprehensive guidebook. 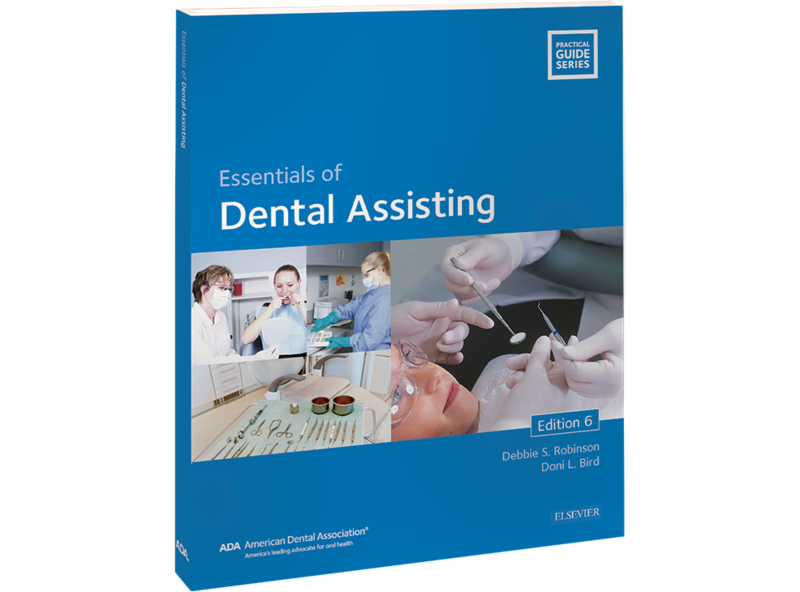 Order your copies of The Essentials of Dental Assisting today!